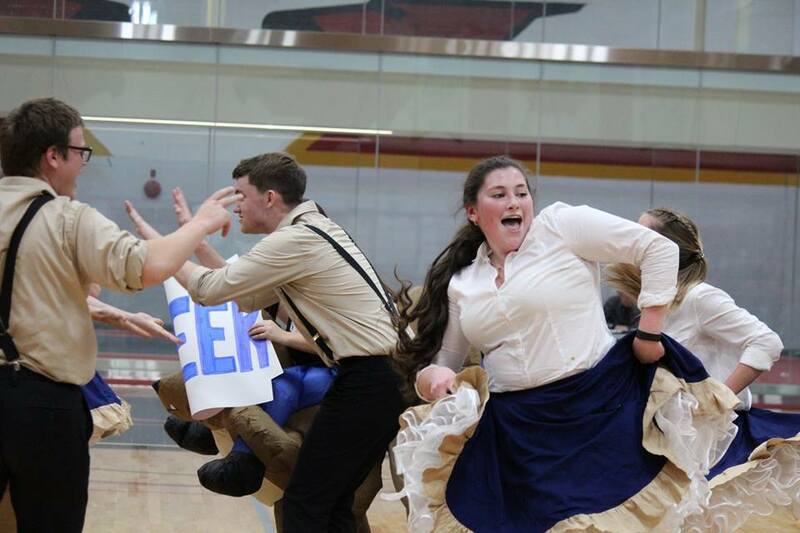 A long standing College Royal™ tradition is the square dance competition! Student and alumni sets compete over the course of Saturday, March 16th, 2019 for top honours and awards. The competition runs from 9:00 am to 4:30 pm. Following the competition, the public can come and join the dancers to learn how to square-dance and show off your own personal moves. 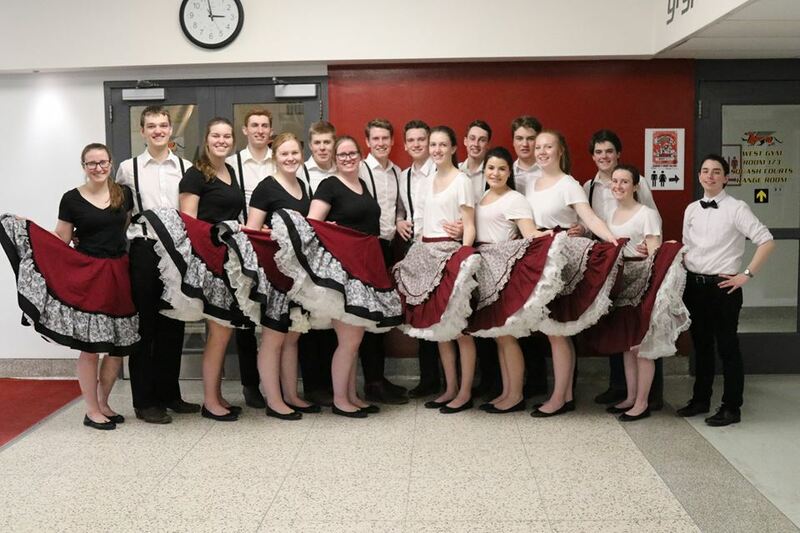 So get your dancing shoes on and come on down to the Athletic Centre's Main Gym to watch these dancers kick-up their heels in some fierce competition and get your toes tapping to the live music. 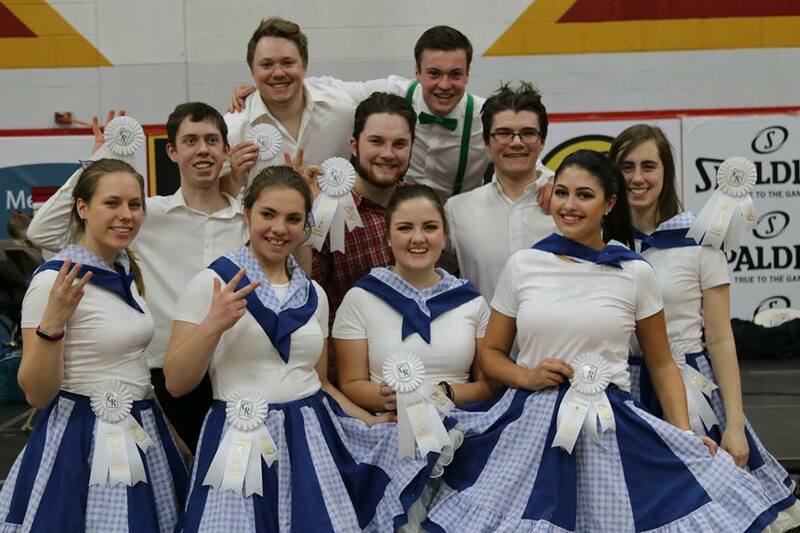 Want to enter a team in the CR Square Dancing Competition? Student, Alumni and Open teams are welcome to come out and dance in the competition. This year is the competition is all on the Saturday (March 16th, 2019) of Open House Weekend. 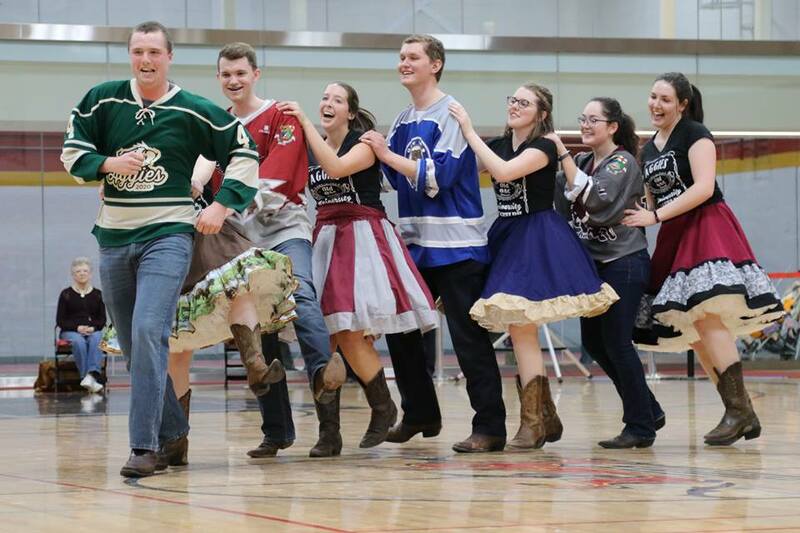 To enter your Square Dancing team sign up in the UC Courtyard January 16th to 18th from 9:00 am to 4:30 pm or email colroyal@uoguelph.ca.